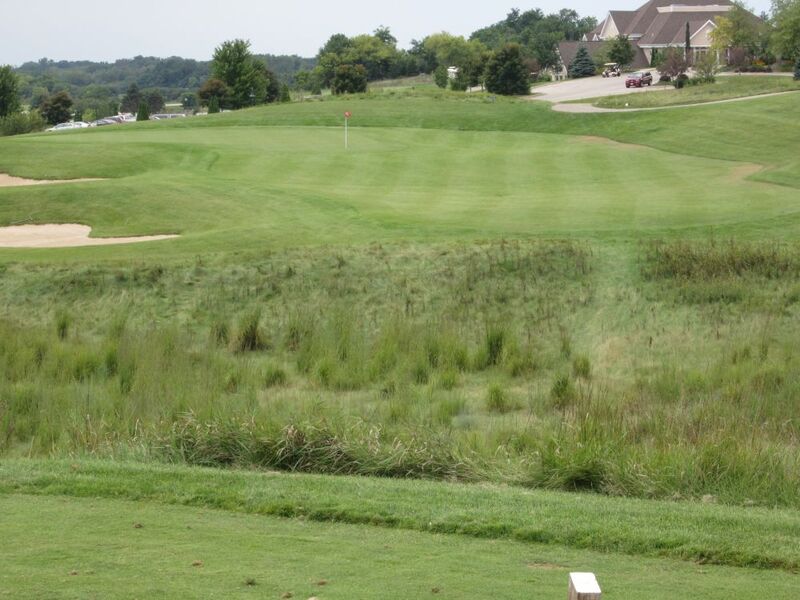 When asked about the Broadlands and my thoughts on it, I can say that it is one of the most fun courses I have played. It is links style, and does not over-penalize for missing fairways, but makes up for it in length: 6,884 from the tips (6,272 from the white tees). 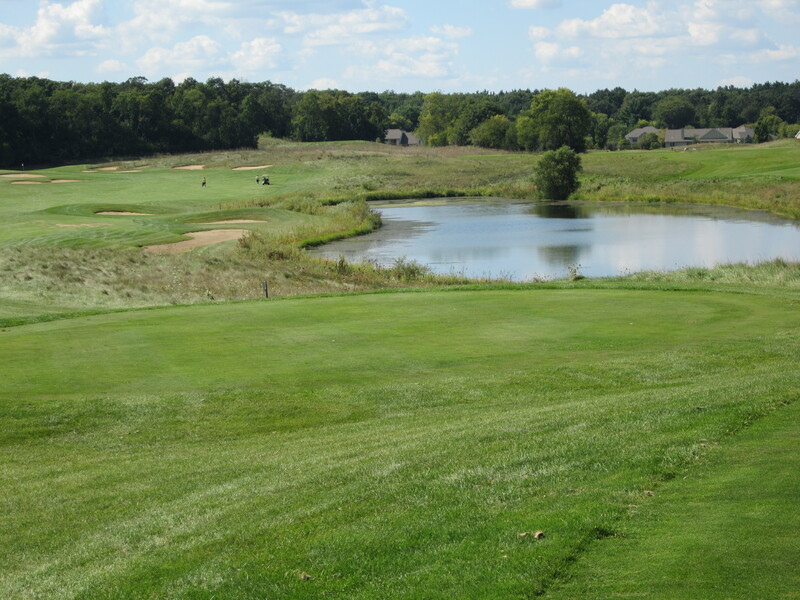 It plays much longer, though, with headwinds that always seem to prevail on holes two, six, seven, 13, 15, 17 and 18. There is an abundance of fescue, plenty of water, and beautiful homes which are far back enough to not impede on the course’s play. 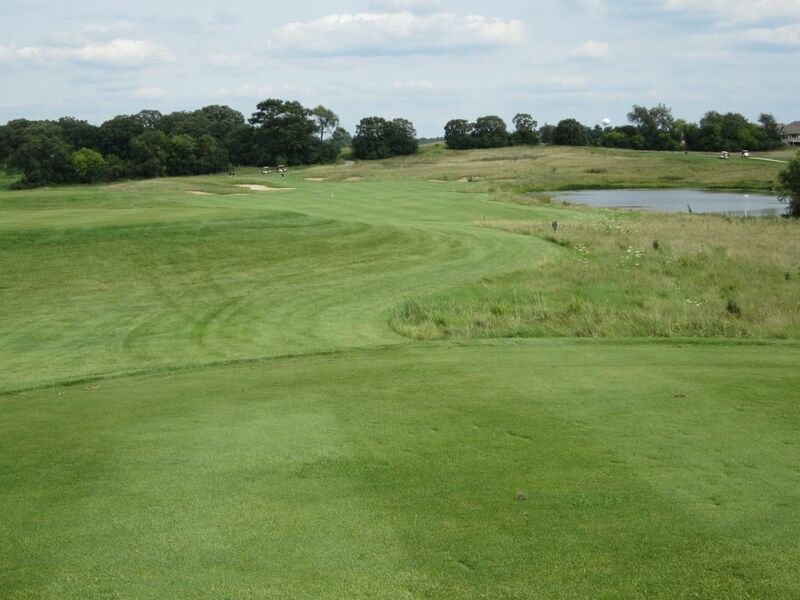 The Broadlands has a great variety of par fours and fives. 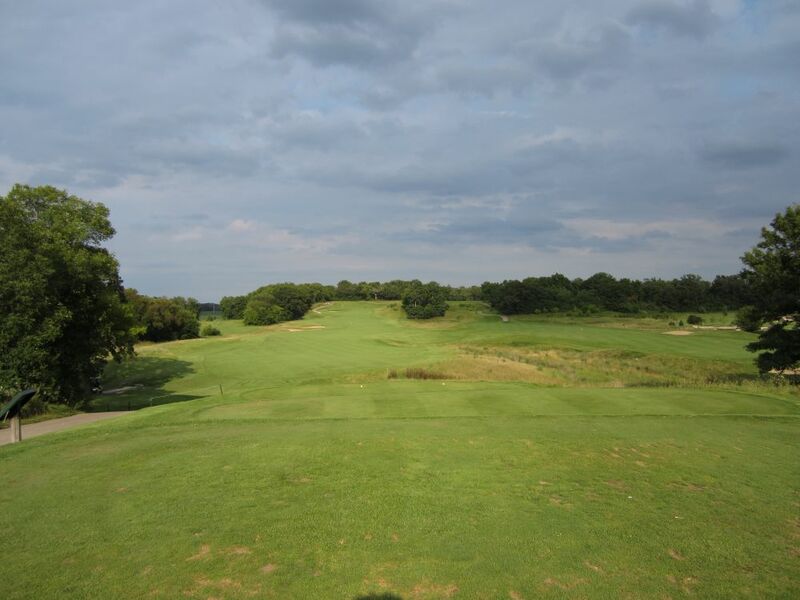 The second is probably their signature hole: A 534-yard par five with O/B on the left, and sand traps and a large pond on the right, which act as magnets for slightly cut tee shots. The approach is around a bend to the left, which slopes into a narrow green. Included in their variety of par fours are several that are drivable: Both the 11th and 17th are in reach for players who can hit 300 yards or farther. Neither is wide enough to bail out miss-hits, and the fescue might as well be out of bounds. These are classic risk/reward holes. 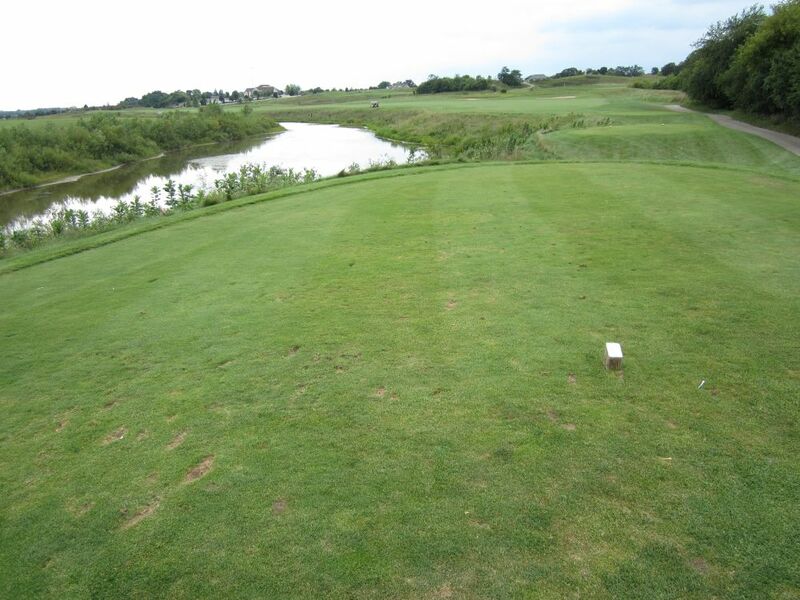 The fourth is probably my favorite par three: 165 yards over water to an elevated green (shown below). 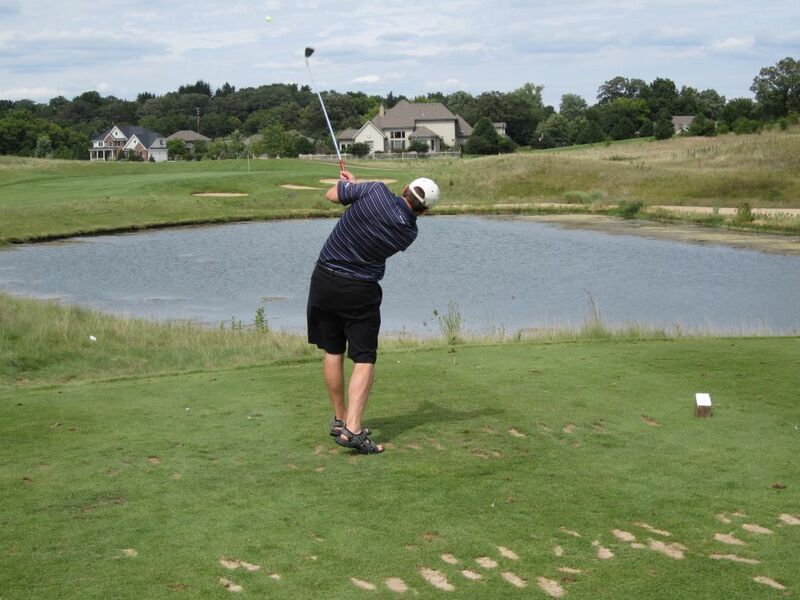 Anything short will find the water or green-side bunkers, leaving a nearly impossible up and down. My two favorite consecutive holes are the closing ones. The 17th is a 304-yard par four that veers to the right, and the 18th (below) is 150-plus yards from an elevated tee box over a large area of fescue and two greenside bunkers. These holes provide an enjoyable finale to a fun round, and a foreboding feeling of comfort when you put your 16-hole total in perspective. If you have not yet experienced the Broadlands, my guess is you think North Prairie is on the other side of the state. It is actually only a 35-minute drive from most locations in Milwaukee, and has the feeling of a great weekend get-away without having to leave the area at all. Make sure to sign up for their birthday club for a free round. I certainly enjoyed mine yesterday. Golf Digest: 4-1/2 starsBest Way to Play: Online Specials on the course’s website – book several days in advance for the lowest rates.